This summer has been perhaps the most windiest here in the Northern Baltic Sea, at least that I remember. 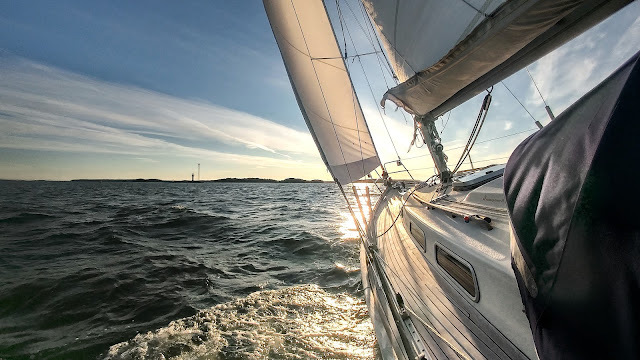 Since the start of the season in the end of May, we have been sailing in winds above 10 m/s (20 kts) at least half of the time and it seems that the normal summer winds have been mostly missing this year. 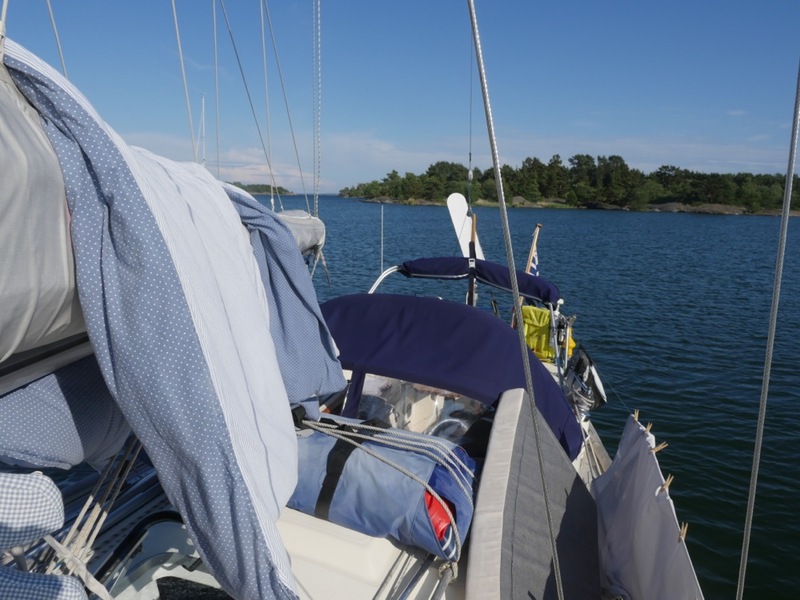 When sailing to east towards Helsinki in the end of June, we had mostly tailwind so the windspeed did not have that much effect. 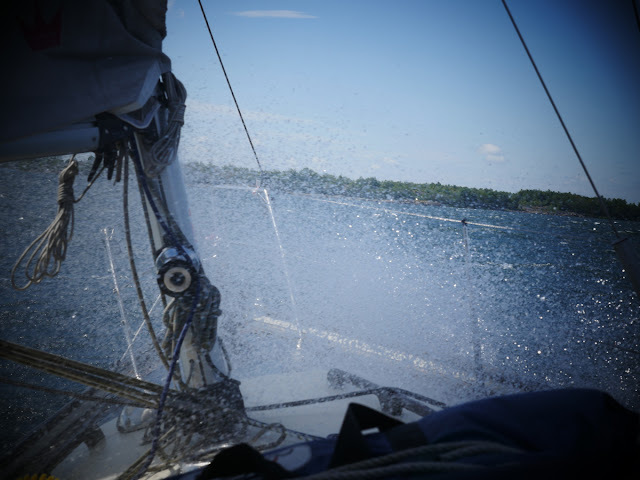 The strongest wind (18 m/s or 35 kts) that we encountered at sea during the summer trip was when sailing from Estonia to Finland. The following day it was blowing even harder and this time from the west, so we spent the rainy day in Hanko. On the 11th of July the wind turned northerly for about a week. 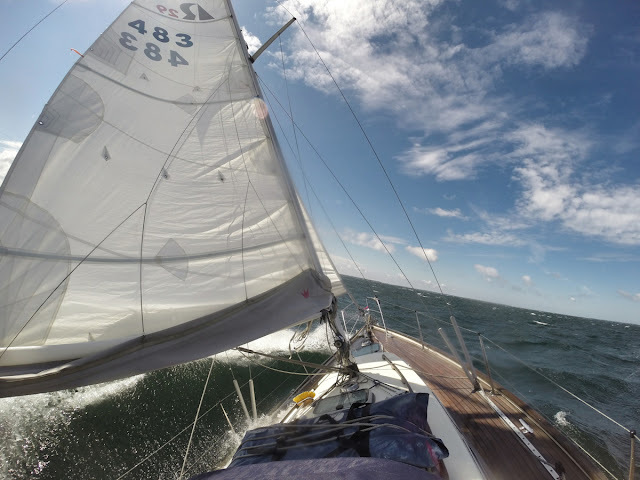 When sailing from Korpoström to Åland Archipelago, we got the toughest headwind leg of the season as the wind was gusting about 15 m/s (29 kts). 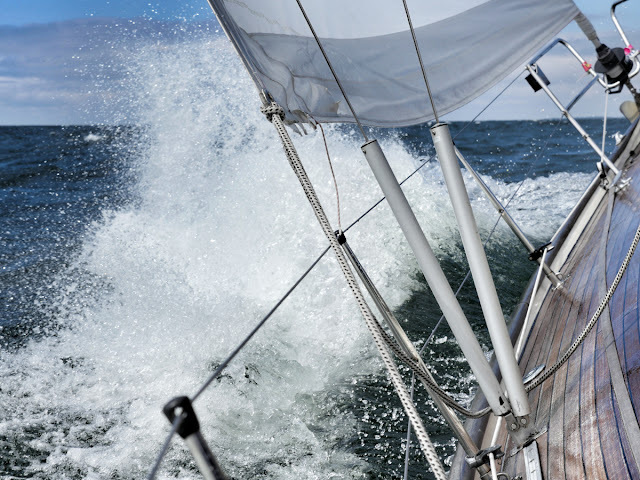 The northwesterly wind created steep and short waves at Kihti sea, so a lot of water was over the fore deck. 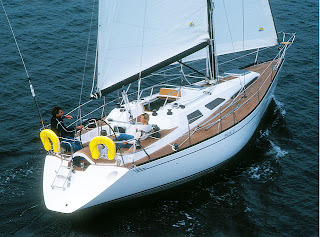 Thanks to her hull shape and weight, Dolphin Dance is generally a comfortable boat to sail to windward as she does not slam and takes the waves gently. 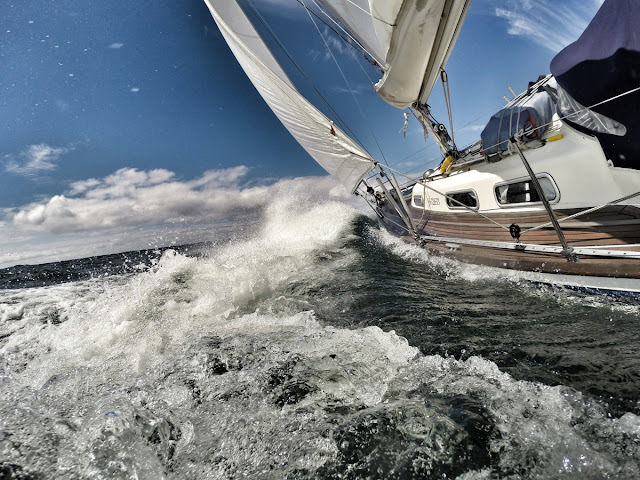 However, her waterline length is rather short so the ride often resembles a roller coaster when sailing in short and steep waves. Usually the sprayhood gives very good protection for the helmsman and crew so the cockpit remains dry when sailing. 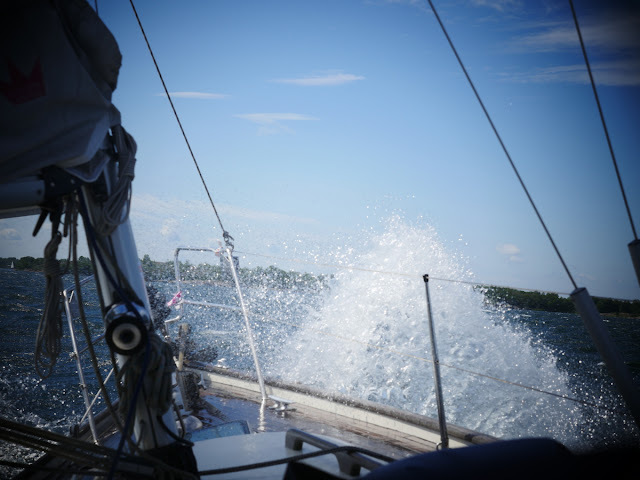 However, this time the nasty waves at Kihti sea gave us a couple of good showers also in the cockpit. Fortunately, the weather was sunny. Thanks to her deep hull, DD takes the waves gently, but the bow dives deep into each wave. Thus, in steep waves, there is usually a lot of water over the fore deck. Lesson learned... always double-check that the fore deck ventilation is closed when the ride gets wet!